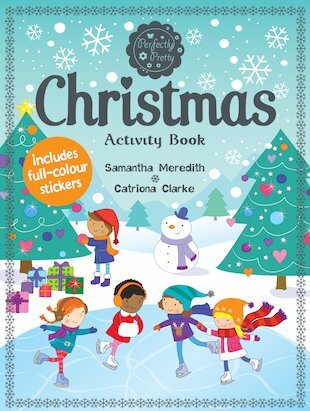 From the first holly berry to Santa’s arrival and the perfect fairy on top of the Christmas tree, draw and doodle your way to a glorious Christmas in this super-cute seasonal treat. You’ll be able to decorate a super-funky stocking, imagine what’s inside a wintery snow globe, sketch all your most-wanted presents and make scenes of snowy outdoor games. You’ll even get ideas to decorate and draw your own beautiful cards and gift wrappings, covered in brightly coloured stickers. Make it your most creative Christmas ever!